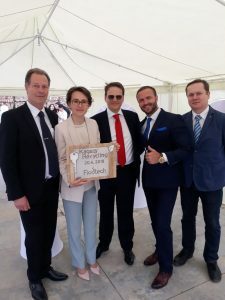 KaukoInternational together with suppliers, Flootech and Ferroplan, delivered and contracted a new solution for waste water treatment for a big carboard mill in Kazakhstan. The capacity of the plant is 2 800m3 per day with return of 400m3 per day. The solution helps to process the mill’s waste water and sanitary treatment more sustainably and for re-use as well. Kagazy recycling official launch event. From the left Ilkka Laasonen, Viktoria Gorobtsova and Tomas Verner, Vladimir Olechshenko and Denis Soloviev. The project was implemented in a record time, in 11 months, and the production was launched in the beginning of March 2018. KaukoInternational acted as EPCM contractor and we provided project management and were the supplier of main technology equipment, together with Flootech and Ferroplan, for the project. The Official opening ceremony of the plant was held on 20th of April. 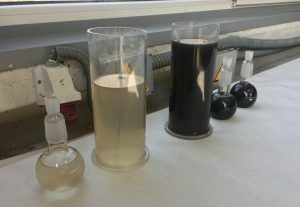 Results of the water purifying process. KaukoInternational provides project services where, in like this case, we provide to the customer everything from contract, finance and logistics planning, to project management services and finding the right kind of technologies to fit the customer’s needs. 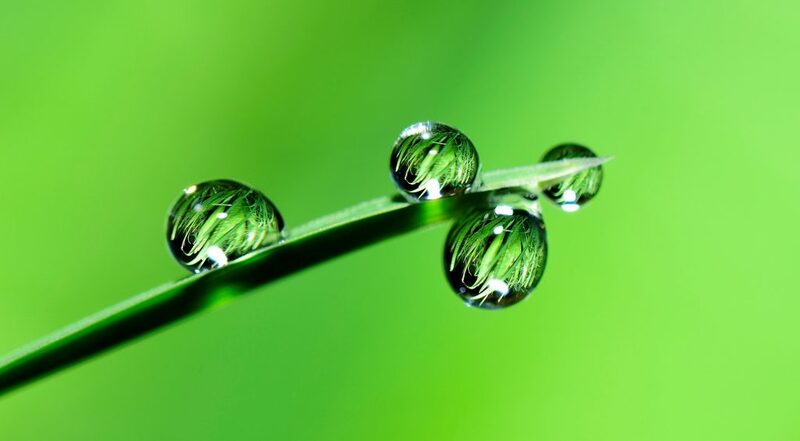 We have in our pool companies that have state-of-the-art cleantech products and equipment for building sustainable solutions.